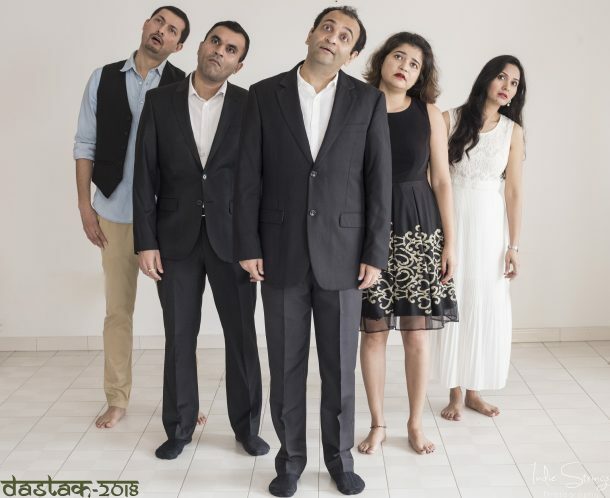 DASTAK, Singapore’s first and only 3 day Hindi Theatre Festival, announced its 3rd year edition to be held in Singapore between 15th- 18 November’2018 at Blackbox, Goodman Arts Centre, 90 Goodman Road, Singapore. The festival is supported by National Arts Council Singapore, Krescendo Communications as a strategic alliance partner who plans to launch the festival in Asia Pacific region and other local sponsors. DASTAK as the name suggests is a knock on the social door. 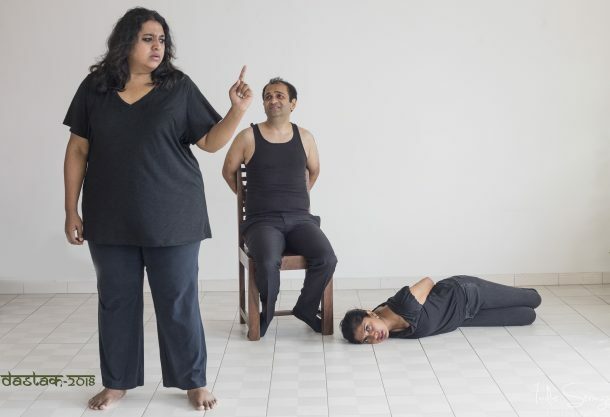 In line with Singapore’s multi-racial ethos, the objective of DASTAK is to showcase talent via Hindi theatre but not limited to Hindi-speaking audiences. To achieve this objective, DASTAK is an inclusive vehicle that involves non-Indian artists in the creative process and are having surtitles for all plays across all shows, to strengthen the cultural integration between India and Singapore. As a festival, DASTAK showcases 10 hard hitting short plays directed by 10 different directors, it also has another connotation Das Tak which is a count from one to ten. The festival will witness over 70 members of cast and crew, almost all of them local talents – from established names to fresh entrants and also features illustrious local, non-Hindi speaking theatre directors. There will be total 6 shows, 2 matinee shows on 17th and 18th November and 4 evening shows on all 4 days. All 10 plays will be staged back to back on all days. The audience after the show get to vote for the best play. On the last day, post the audience poll the best Actor, Director and best play for the year 2018 will be announced. Like each year DASTAK has shortlisted a theatre group from India, Ank Theatre. The play they are presenting in Singapore is titled EK DIN BANK MEIN – ONE DAY AT THE BANK a story adapted by Dinesh Thakur from Anton Chekov short story, ” A Day in the Bank”. 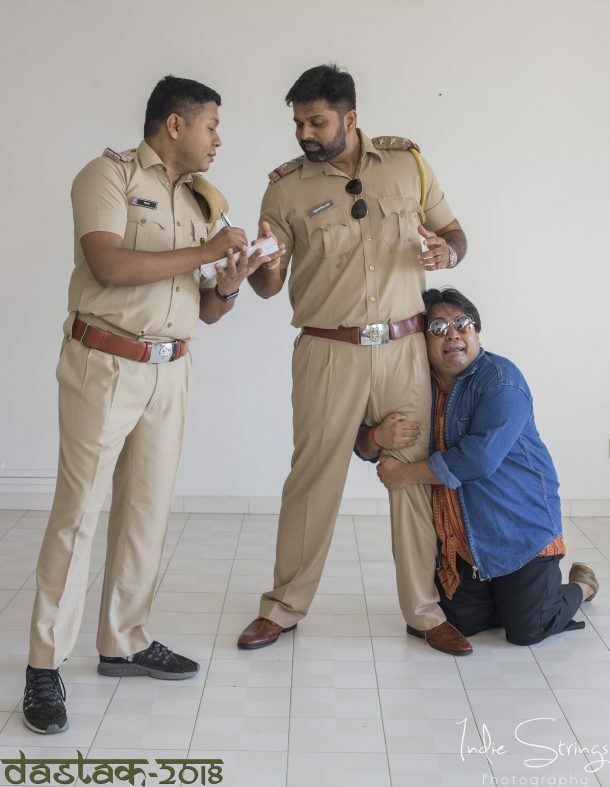 This play was shortlisted due to its comic take of the #MeToo campaign, the latest buzzword from India that is creating a global furore. However the play takes the campaign to a newer paradigm that is beyond sexual harassment. It is a take on any kind of exploitation that has a repercussion on the system. ‘Someone, somewhere will have to pay’ is the underlying message/theme of the entire play. “DASTAK’s aim is to showcase talent and offer local audiences a variety in theatre. The festival also aims to make the Singapore theatre landscape as diverse as its social fabric. The true success of this event is in unravelling new local artists in performing arts streams – artists who are potentially of International calibre and who will attract global attention to Singapore’s growing theatre industry,” Shalaka Ranadive, Festival Director of DASTAK quips. A suspense story that has at its core the theme of women’s empowerment. A couple are kidnapped and the Kidnapper threatens to kill the male who is thought to be an army officer who he believes killed his family in an encounter. A case of mistaken identity, gender role reversal and a welcome twist at the end. 2. Mili- Directed By Indranil Banerjee and written by local playwright Tanuj khosla is set against the Singapore landscape, Mili is a heart wrenching tale of filial neglect by youngsters. A lonely widower in his silver years yearns for the company of his son who has no time for him. Set in an HDB apartment in Singapore, this story of parental neglect will touch hearts. 3. Sati – is based on a Hindi classic by celebrated author Shivani. It highlights out fated rituals and customs and how a trickster fools a group of women in a train journey. Directed by local stand up comedienne Sharul Channa. This will be the third time that she will be directing for Dastak. 4. Shri Shri 420- is written and Directed by local Singaporean Rahul Phondke. This is a comic depiction of a Mafia Don who hires a consultant to help him market his business better. How technology and being technically literate is relevant to all sorts of professionals and businesses. 5. Aarayank is being directed by local theatre personality Yogesh Tadwalkar . This story set in Singapore, it deals with a psychiatrist treating a patient who suffers from delusion. The drama is enacted in a sea facing apartment in Marine Parade. It emphasises on mental health being as important as physical. 7. Face On The Wall is directed by local theatre personality Musa Fasal, who is a non-Indian. A group of young bankers meet in a restaurant in downtown Singapore and unravel a story of mystery and suspense. The story revolves around a woman whose face resembles a crack in the wall and how the protagonist goes in search for this woman. 8. Astitva –Local Singaporean actors and physical theatre practitioner Sharda Harrison puts together a devised movement theatre which deals with the issue of body image and how popular culture forced women to conform to certain stereotypes. Performed as a movement piece with HIndi dialogue with an ensemble of 7 women, among them are Singaporean, Malaysian, Indian and Pakistani ethnicity. 9. Guru Gud Chela Cheeni- Bollywood is a concept that really bonds the South East Asian community and Singaporeans, even if they don’t understand Hindi. Chulbul Pandey is a laugh a minute farce based on popular Bollywood film characters.